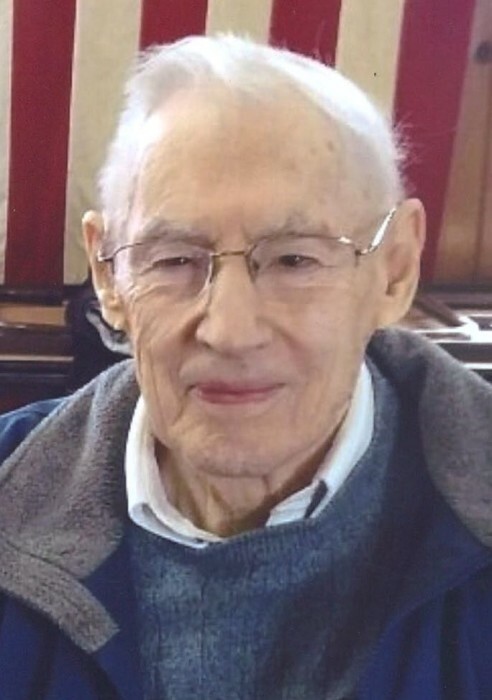 Cobleskill- Lee Frederick Empie, Jr., 93 years young, entered into eternal rest on April 3, 2019 surrounded by his children at his home. He was born November 3, 1925 in Seward, New York to Lee F. and Nancy (Mattice) Empie. He was preceded in death by his wife of fifty-nine years, Ruth (Maynard) Empie. Together they raised four children, Carol Jump, Fort Mill, SC; Sandra Torrant (John) of Cary, NC; Lee F. Empie III, Knox, NY; Janet Hewitt (Todd), Rochester, NY. Also preceding him are his brothers Louis, Ernest and Robert Empie; and his sisters Marion Purcell Frisco and Idella Fort. He is survived by his sister Gladys Braman of Queensberry, NY. Longevity of life blessed him with twelve grandchildren, fourteen great-grandchildren, and many nieces and nephews, whom he loved and shared his kind and humble spirit, unfailing sense of humor, and abiding love of God. He is also survived by his devoted friend and confidant Helen Brown of Cobleskill with whom he shared his last four years. He will miss his friends and neighbors at Stoneview Heights. Lee operated Empie Lane Farm in Lawyersville with his wife for over fifty years, retiring in 1988. Later, employed by the Office of the Aging for ten years, he enjoyed transporting and helping seniors as a bus driver. Lee left school to help work the farm during the war years and in 1995 achieved his goal of completing his high school studies via GED. He was a lifelong member of the Lawyersville Reformed Church, Lawyersville, NY and held the offices of Deacon and Elder regularly since 1956. He was active within the agricultural community, serving in the past as an Agway director, a member of the Schoharie Farm Bureau, a director of the Eastern Breeders Association and a member of the Schoharie County Water and Conservation District. He had a passion for the cause of world hunger, participating in the Church World Service Schoharie County CROP campaign for over 10 years; always competitive, trying to beat his fundraising goals year over year. In lieu of flowers, Lee would like you to smile and laugh more, be kind and fair to everyone, and live a committed life to the journey God has set before you. Memorial honorariums can be made to the Lawyersville Reformed Church and the Schoharie County Aggie Scott Memorial Hunger Walk. A Funeral service will be held at the Lawyersville Reformed Church on Monday, April 8 at 11 AM. Calling hours will be held on Sunday, April 7, from 4-6PM at the Funeral Home. Burial in Slate Hill Cemetery will follow.